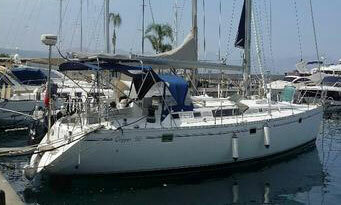 Read These Used Sailboat Buying Tips and Save Yourself a Pile of Cash! 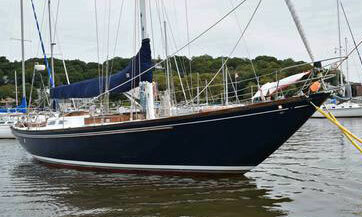 Even if you've got the cash for a shiny new one, buying a used sailboat is likely to get you a lot more for your money. But you must tread this trail carefully - it can be a risky business if you don't go about it in the right way. These tips should help make the process more straightforward then it otherwise might be. 1. In which geographical zone do you intend to sail her? Wall-to-wall sunshine, icebergs and polar bears or somewhere in between? 2. Who will normally be aboard? A singlehander, a cruising couple or a full crew? 3. What will you use her for? Long-distance, living aboard, pottering along the coast or something else? 2. Where will you keep her when you're not aboard, and in the seasonal lay-up? 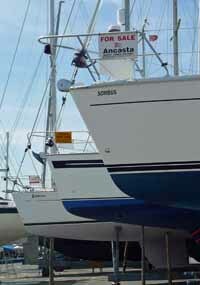 Marina based, on a mooring or hauled out ashore? Only when you've properly considered these issues can you begin to think about the type of boat that might tick all your boxes. But actually it's not a question of ticking boxes - it's more a process of elimination, based on discarding boats that have features that wouldn't fit the criteria established in the 4 Key Questions. Confused? Well, don't be. Just take a look at our new eBook and all will become clear. It certainly helps if you've got some idea as to what you want, and the article will certainly lead you towards that position. 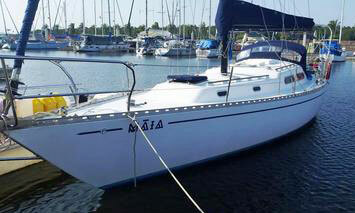 If you know precisely what you want, as in "I want a Catalina 36", then it's very easy indeed. 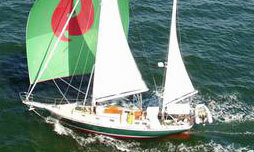 More likely you'll have an idea what you want, but a number of sailboats will meet your particular criteria. Er, do you have one that isn't white? Saunter down to any marina and the odds are a sailboat broker will have set up shop there. Browsing the 'Sailboats for Sale' photographs in his window may find you exactly what you're looking for. With any luck it will be close by, so you can get to inspect it there and then. Even if there's nothing that suits you, have a chat with the broker. He may well have something that he hasn't yet got a photo of. 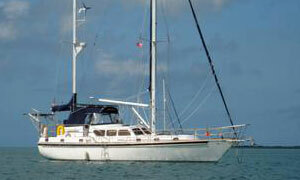 In any event you may pick up a few good tips on how to buy a sailboat. If you live near the coast, then have a look under 'Boats' in the classified ads section of the local newspaper. Similarly, sailing magazines thrive on the income received from people advertising their boats. Some potential used sailboat buyers may just browse through the magazines on the news-stand and not buy it unless they find a suitable candidate. Of course, I would never do that! Hey, you've found the very one! What a shame you're in the UK and your ideal used sailboat is in Florida. 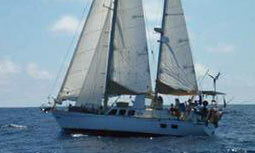 Take a look at our new Sailboat Private Sales page. Here visitors to this site can upload advertisements for their own boats absolutely free of charge! Here's a selection of what's been uploaded recently. Just click on the images below to see the full details of these cruising boats that are advertised for sale privately by their owners. Got a particular model in mind? There may well be an owners association associated with that particular manufacturer. If they have a website, then drop them an email and ask if anyone's selling their boat. Incidentally, if you want to use but not own a sailboat, there are ways of leasing a sailboat that suit some sailor's requirements perfectly. Found a Used Sailboat that's Worth a Look? Before you rush off clutching a wad of your hard-earned, do a little research. 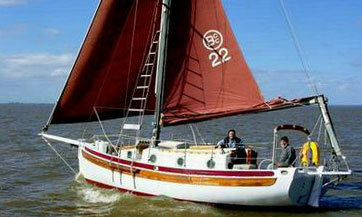 First, is the asking price in roughly the right range for similar boats of that type? This won't affect your decision to take a look at it of course, as no-one (not even the seller) will expect you to pay the asking price, but it will give you an idea as to how hard you should negotiate the price. If the price seems very low, there's probably a good reason for it. OK, you may have a desperate seller in urgent need of some quick cash, but more likely it's not the bargain it first appeared to be. Beware of cheap sailboats! The second aspect of your research should be on the particular sailboat model itself. Check out the sailing magazines to see if they've ever reviewed one. Most will cheerfully accept your money for a copy of an archived review. So You Like What You See? It looks good. You've spotted a few things that will need some attention but nothing major. If it's in the water, ask for it to be hauled for an inspection below the waterline. If the owner won't do this, walk away. Conversely, if it's laid up ashore then asked for it to be launched for a trial sail. Smoky engine, worn out sails? No? All is well? Then make an offer! This is not the time for coyness. It's your best chance to get your dream used sailboat at the best possible price and reduce the amount of any sailboat loan. Any offer you do make must, of course, be 'subject to survey'. This gives you some leeway for further downward negotiation. OK, so you've had a good poke around for yourself and the vendor has accepted your subject to survey offer - now you need an expert. 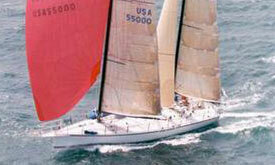 Get yourself a professional sailboat surveyor to take a serious look at your used sailboat. Not your buddy who 'knows a thing or two about sailboats', but a true expert who depends on his reputation for his livelihood. The fee will be money well spent whatever the outcome. The surveyor will provide you with a written report on the condition of the boat which you must read and make sure you understand every word. If you don't, quiz the surveyor about it until you know the facts. The odds are that he'll have found a defect or two that you didn't, for which you should get an estimate for the repair cost. Remember your offer 'subject to survey'? Time for some further price negotiation. Well done, give yourself a pat on the back! You've just got a great used sailboat at a good price. 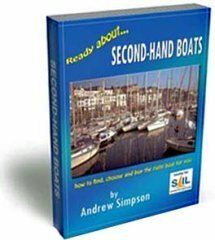 Whilst I hope the foregoing will have given you a good insight into the hazardous process of getting your hands on a good used sailboat, for the complete picture you really do need to delve into this comprehensive eBook on the subject.